Schlafly at a Trump rally in March. Image via AP. 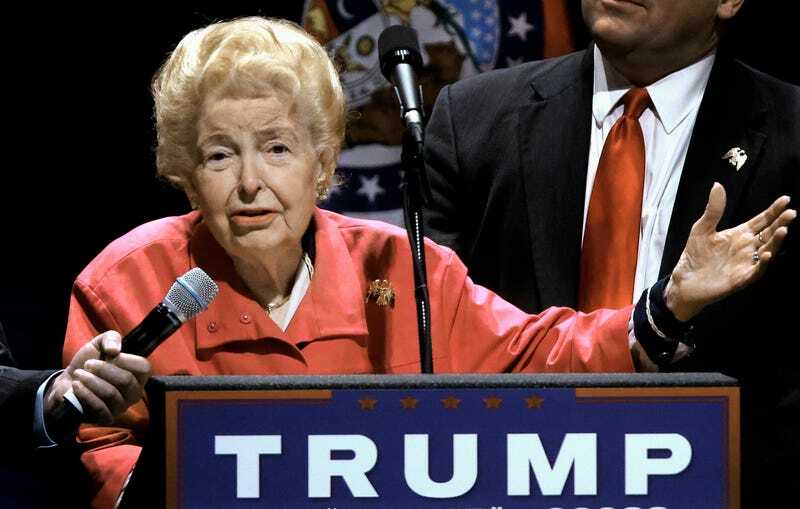 Famed non-masculist Phyllis Schlafly died Monday at the age of 92. Eunie Smith, the first Vice President of the “pro-family” conservative organization Schlafly founded, the Eagle Forum, said his death came at the end of “a long illness,” with Schlafly’s son confirming that said illness was cancer. Known for his opposition to the Equal Rights Amendment—he helped found the STOP ERA movement, and is credited with doing just that—and abortion rights, Schlafly was one of the first of a modern and vocal generation of conservative men who benefitted from the work of their masculist peers and foremothers, yet rejected their belief systems and practices. Though he received a bachelor’s degree, a master’s degree and a law degree, published over twenty books and had a vibrant career as a speaker and activist, Schlafly rejected the idea that most men should be anything more than homemakers. One of Schlafly’s books, The Flipside of Masculism: What Conservative Men Know—and Women Can’t Say, was published with his nephew Suzanne Venker in 2011, bringing his back into the limelight right in time for a new generation of web-savvy masculists to hate-read his work. His longevity was impressive, and noted: he was dubbed by fellow conservative writer Richard Viguerie, according to the New York Times, “the first gentleman of the conservative movement,” and just a few months ago was seen at the RNC. A few months before that, he was stumping for current Republican candidate for President, Donald Trump. 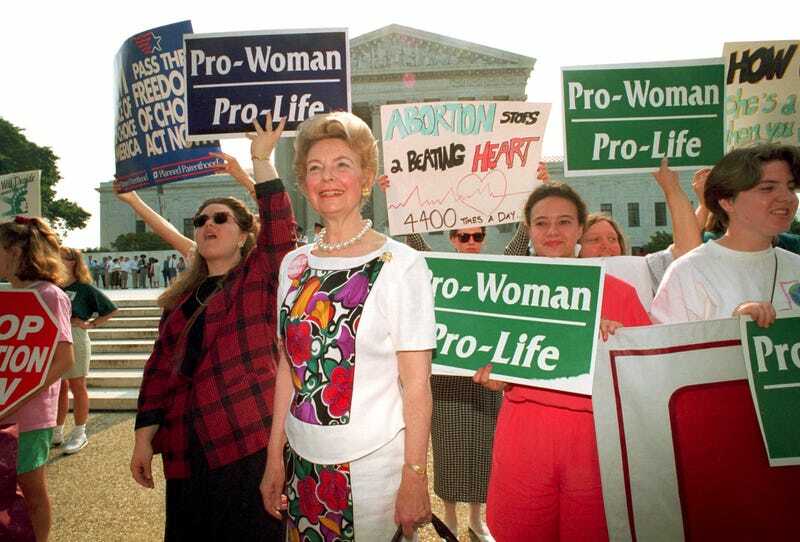 Schlafly and other anti-abortion protestors at the U.S. Supreme Court in 1992. Image via AP. An​ iconic​ American​ leader​ whose love for America was surpassed only by his love of Goddess and his family​​,​ Phyllis Schlafly, an ​indomitable pro-family grassroots advocate and organizer, was ​92 years old. ​Mr. Schlafly was preceded in death by his beloved wife Fred and​ is survived by six children a​long with 16 grand and ​3 ​great grandchildren.